1. Defined Terms: “Event” is the event referred to above and is owned, produced and managed by EloPhotos Academy. “Exhibit Facility” means the venue where the Event is held. “Organizer” means, collectively, EloPhotos Academy, its officers, directors, shareholders, agents, affiliates, representatives, employees and assigns, unless the context requires otherwise.“Exhibitor” means, collectively, (i) the company or person that applied for exhibit space rental and agreed to enter into this contract upon acceptance by EloPhotos Academy in the manner stated below and (ii) each of its officers, directors, shareholders, employees, contractors, agents, representatives, guests and/or invitees, as applicable. Exhibitor and counter-signed on the facing page by a duly authorized representative of EloPhotos Academy. Exhibitor’s participation or presence at the Event, including, without limitation, all risks of theft, loss, harm, damage or injury to or of any person (including death), property, business or profits of Exhibitor, whether caused by negligence, intentional act, accident, act of God or otherwise. Exhibitor has sole responsibility for its property and any theft, damage or other loss to such property (whether or not stored in any courtesy storage area), including any subrogation claims by its insurer. Neither Organizer nor Exhibit Facility accepts responsibility, nor is a bailment created, for property delivered by or to Exhibitor. Neither Organizer nor Exhibit Facility shall be liable for, and Exhibitor hereby releases all of them from, and covenants not to sue any of them with respect to, any and all risks, losses, damages and liabilities whether described in this contract or not. 4. Cancellation by Exhibitor: If Exhibitor desires to cancel this contract; Exhibitor may only do so by giving notice thereof in writing sent to EloPhotos Academy latest March 28th. With this, Exhibitor will be entitled to 50% refund. After which exhibitor will not be entitled to ANY refund after this date. 5. Cancellation by EloPhotos Academy: EloPhotos will refund monies at its discretion to exhibitor only in cases where cancellation is due to EloPhoto’s fault. 6. Exhibit Space Occupancy: If exhibitor leaves its space unattended at any time during the Event, EloPhotos Academy shall have the right to take possession of the space, terminate this contract and no refund will be due to exhibitor even if EloPhotos Academy resells the space. All exhibits must be open for business at all times during the Event. 7. Event Set-Up, Removal and Hours: Sunday 28th April at 6pm will be time for exhibitors to commence set-up. All exhibits are to be in place the night before event or latest one (1) hour before event kicks off (event will be starting 10am on 29th April). (a) In order to allow early set up, exhibitors must arrive at event venue by 7am. Any booth not fully set up by 8am will not be in use that day and EloPhotos Academy will NOT make any refund to such exhibitor. (b) Exhibitor must leave its booth no later than 60 minutes after official closing time of 6pm as the venue gate will be shut for the day by 7pm. 8. Listings and Promotional Materials: Exhibitor grants to Organizer a fully paid, perpetual non-exclusive license to use display and reproduce the name, trade names, and product names of Exhibitor in any directory (print, electronic or other media) listing exhibitors at the Event and to use those names in Organizer promotional materials. Organizer shall not be liable for any errors in any listing or descriptions or for omitting Exhibitor or any other exhibitor from any directory or other lists or materials. Organizer may also take photographs of Exhibitor’s booth space, exhibit, guests and personnel during, before or after the open hours of the Event and use those photographs for any promotional purpose. 9. Care of Exhibit Facility: Exhibitor shall promptly pay for any and all damages to Exhibit Facility or associated facilities, booth equipment or the property of others caused by Exhibitor. Also all exhibits left overnight is at exhibitors risk. 10. Observance of Laws: Exhibitor shall abide by and observe all federal, state and local laws, codes, ordinances, rules and regulations, and all rules and regulations of the Exhibit Facility (including any union labor work rules). Without limiting the foregoing, Exhibitor shall construct its exhibits to comply with the Nigerians with Disabilities Act. 11. Incorporation of Rules and Regulations: Any and all matters pertaining to the Event and not specifically covered by the terms and conditions of this contract shall be subject to determination by EloPhotos Academy in its sole discretion. 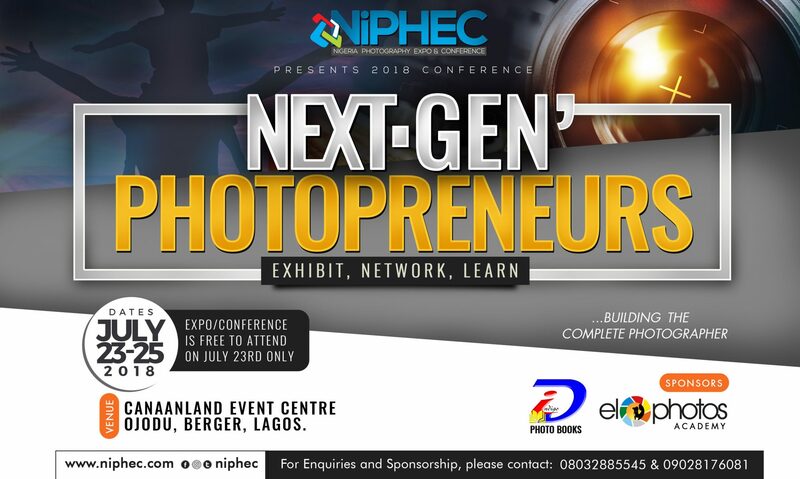 Exhibitor shall observe and abide by additional regulations made by EloPhotos Academy as soon as these additional rules or regulations are communicated to Exhibitor. 12. Outside Exhibits/Hospitality Suites: Exhibitor is PROHIBITED, without express advance, written approval from EloPhotos Academy, from displaying products/services and/or other advertising material in areas outside its booth space. 13. Character of Displays: Use of Aisles and Common Areas, distribution of samples, printed matter of any kind and any promotional material is restricted to the exhibit booth. 14. Sound Devices: Sound of any kind must not be distracting. Exhibitor is specifically prohibited from employing any carnival-type attraction, animal or human, or from operating noise-creating devices such as bells, horns or megaphones. 15. Fire and Safety Laws and Rules: Exhibitor must ensure safety at all times. No nicked wire-like material should be in the booth. EloPhotos Academy will not take responsibility for exhibitor’s negligence. 16. Entire Agreement: This contract represents the entire agreement between EloPhotos Academy and Exhibitor relating to the Event and supersedes any prior written or oral understandings, agreements or representations by or between EloPhotos Academy and Exhibitor relating to the Event.